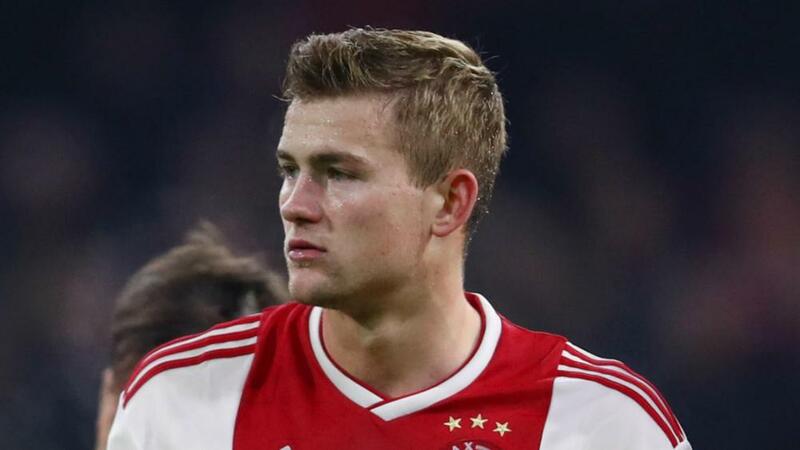 Ajax captain Matthijs de Ligt ruled out a move away from the club in the January transfer window and stressed his attention is focused on helping the club to win the Eredivisie title. Barcelona, Paris Saint-Germain, Manchester United and Juventus have all been linked with a move for the 19-year-old defender, who joined the likes of Lionel Messi, Paul Pogba and Kylian Mbappe after winning the Golden Boy award for the most promising player under 21 in Europe last month. But De Ligt, who has featured in all but one of Ajax's Eredivisie matches this season, insisted he will remain at his boyhood club at least until the end of the 2018-19 season. "A move will not be happening this transfer window," he told NOS. "Ajax fans will not have to worry about that." The Amsterdam club are two points behind rivals PSV in the table after losing just one of their 17 matches so far. Ajax are taking part in the Florida Cup but will resume their Eredivisie campaign on January 20 against Heerenveen and De Ligt explained they cannot afford to lose anyone from their squad. "We want to win the Eredivisie title and will need every player to get there," he said.